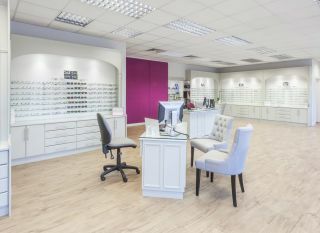 In January 2014, Insight Opticians and Leightons joined forces in Marlow – a marriage that united our two brands and connected our people and services under one roof. Insight was originally set up by Sean Fehilly and Martin Lloyd in 1988. They developed a very strong local business with a focus on clinical, contact lenses and high quality products. Leightons in Marlow was a much younger business. Initially established as a franchise in the late 90s, also with a focus on clinical, but with a strong lean towards fashion and luxury designer products. So when Ryan and Martin sat down to discuss the idea of a joint venture, there were some very clear and obvious benefits to joining forces. Combining businesses meant having just one practice – with significant savings on rent and rates. All the staff from both stores were fully retained. While Martin was able to focus wholeheartedly on the clinical aspects of the business, the Leightons team took care of the back office support function in terms of IT, recruitment and marketing. After the expected small integration challenges that occur when putting two businesses together, a few months down the lne the team are working together incredibly well. A new Dispensing Optician Manager, Kash, leads the team at the retail end, dovetailing with Martin and Nishi on the clinical side and Gemma on audiology. Monthly meetings between Ryan, Martin, the other directors and Kash keep communication open and help to keep a close track of financial performance to budget with monthly P&Ls, together with a focus on innovation and constant improvement. The practice is set for strong and continued growth. The marriage of Leightons and Insight creates amazing efficiencies and focus so that the in-store service can thrive. Meanwhile, the partnership is backed by centralised administrative and business support, together with a network of 34 other Leightons stores to share ideas and develop strategies with. 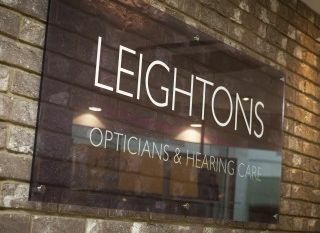 For more information on Joint Ventures with Leightons Opticians, call us on 01252 823400 or download our brochures.